Remember that a journey does not always go in a straight line or on a straight road. There are hills and obstacles, fences to jump, turns and bends. Sometimes you can’t see the end of the road or where you are heading. Sometimes where you end up is not where you thought you would or looks nothing like your original vision. However, sometimes when you get to the end of your journey, what you have created is perfect and just how you imagined in your mind’s eye. I recently created this photograph below and the first person I showed it to told me they didn’t like it and thought it was disturbing. I then (nervously) posted it on my professional Facebook page and I had such glowing feedback and it was liked, commented on and shared by people around the world! I went from being so unsure to feeling so joyful that it touched so many people. 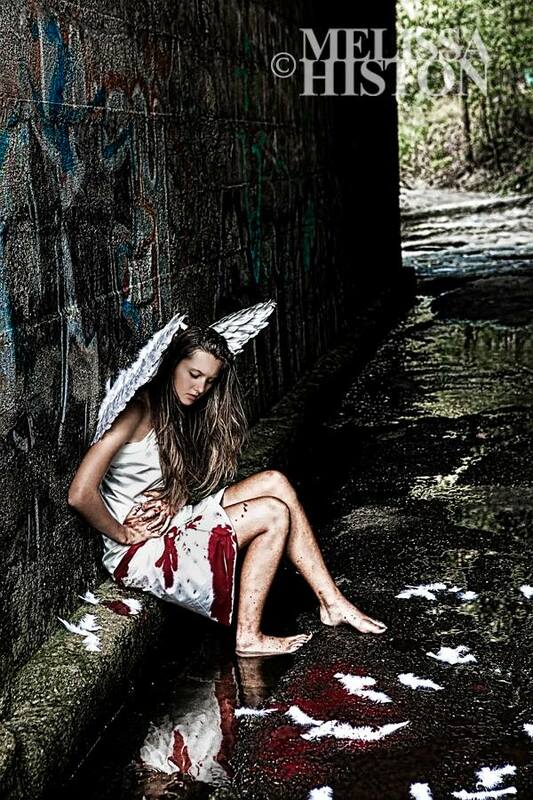 The photograph is called, ‘Wounded Angel’ and is a tribute to White Ribbon Day. My photographic creation, ‘Wounded Angel’. 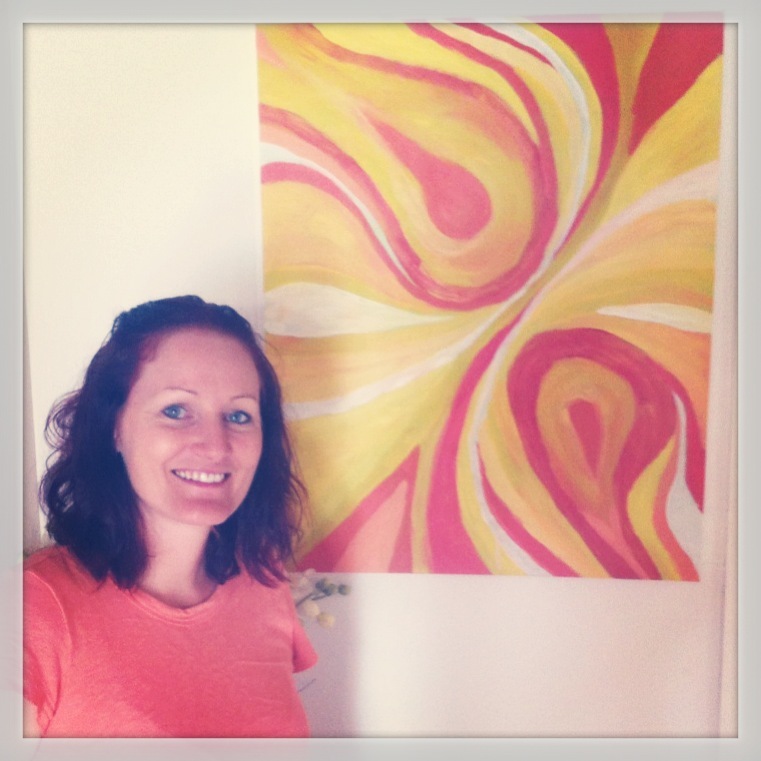 That experience highlighted to me that being creative is about taking chances. Not all people will like what you do, but stay true to your heart, and don’t let your self-talk become your saboteur. Start a vision board with images or words that appeal to you or touch you. Use the colours, form and images as inspiration to get you started. Keep a notebook so you can jot down creative ideas that come to you. I have multiple notebooks LOL! I might be meditating, driving somewhere or running on the treadmill and if an image or idea pops into my head, I just jot it down so I remember it later. Enrol in a course. The first thing I did when I started photography was to enrol in a course to learn how to use my camera – it was the start of my journey and has brought me so far. Google. Use the Internet to research tips, tools and how-to-techniques to get you going. Take a leaf out of Nike’s book and Just Do It! Go to the art or craft store, buy a canvas, some paints, scrapbooking paper, or clay – supplies for whatever it is that you want to try – and just give it a go! Remember – the only regrets in life are the risks you didn’t take! Write the following attribution line before the copied blog post:Publish 48 hours following the original publish date and time on Getting Smart. (“Article Title” with hyperlink to the original post) by (Author Name) was originally published on (Melissa Histon hyperlinked http://melissahiston.com). Publish 48 hours following the original publish date and time on Melissa Histon blog.